Frequent sneezing, a runny nose and itchy eyes are just some common occurrences that ruin a good night’s sleep. This is largely due to allergy attacks caused by the likes of dust mites, pollen, mould and spores. From managing your humidity level to choosing the right curtains, here are 8 Effective Ways To Allergy-Proof Your Bedroom. 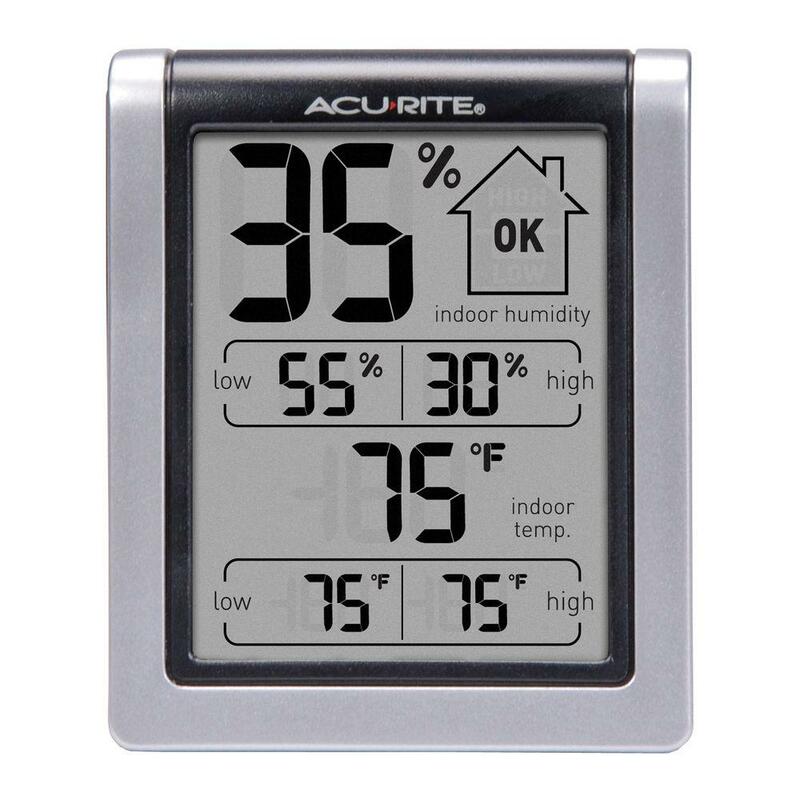 Your indoor humidity level can make or break your overall health and comfort. If it’s too high, it can result in various disasters from a mouldy closet to wet stains on the walls & ceilings and even hyperthermia — a condition referring to high body temperature. And if it’s too low, you will risk all kinds of physical discomfort such as dry skin, chapped lips and nasal congestion. Which is why it’s important to keep your bedroom’s humidity level in check, preferably between 30% and 50%. Your best bet is to invest in a hygrometer — a measuring instrument that helps calculate the relative humidity level in your bedroom. You can purchase it at online stores like Lazada and Shopee or hardware shops such as Ace Hardware. Use a dehumidifier in case the humidity in your bedroom is too high or too low. Your bed is supposed to be your sanctuary. A place where you sleep, relax and rejuvenate your tired mind and body. But your well-deserved good night’s sleep can be affected if your bedroom is prone to dust mites, spores and pollen. These are some of the common allergens that can make us sneeze or suffer from runny noses. Fortunately, you can at least counter potential allergy attacks by protecting your bedding with allergy-proof or dust-proof covers. This includes everything from pillows to mattresses and box springs. Sleeping on a dirty bed sheet is like an invitation for dust mites to trigger an allergy attack. And here’s the ugly truth about a dirty bed sheet: it is covered with a gross accumulation of body oils, sweat, saliva, dust and dead skin cells. That is why it’s crucial to wash your bedding — sheets and pillowcases — on a regular basis using hot water, preferably between 60 to 65.5°C (140-150°F) to eliminate the germs. But if you are allergic to dust mites, you need at least 54.4°C or 130°F of hot water in order to get rid of the pesky dust mites. 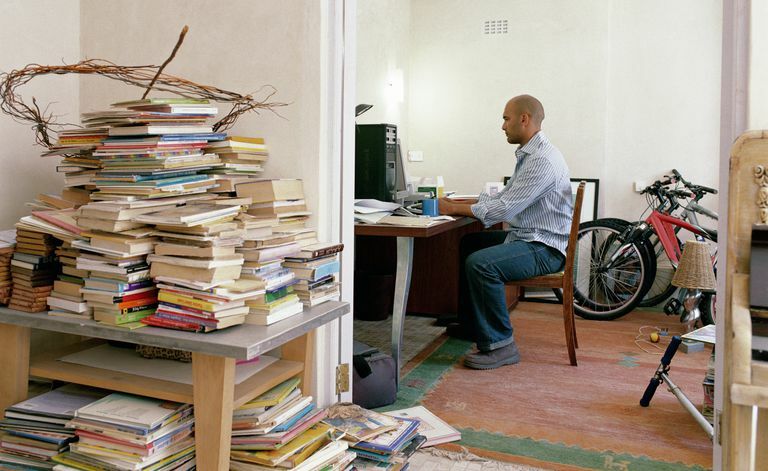 Common items like books, magazines, newspapers and other knickknacks inside your bedroom tend to gather lots of dust. This is particularly true if you leave them idle for a long period of time. The least you can to avoid or minimise dust appearance is to declutter your bedroom. For instance, if you have finished reading the books and magazines, place them inside a storage box and move them to a storeroom (if you have one) or another room. That way, you don’t have to spend more time dusting your bedroom and it will even help you to breathe better. This may sound like a cruel thing to do but if you own a pet like cats and dogs, it is best to keep them away. At least do not allow them in your bedroom. Like it or not, these pets can be a culprit that trigger allergy attacks. If you are prone to allergy attacks, make a habit of sweeping or vacuuming your bedroom floor at least once a week. This is to keep your bedroom from accumulating dust as well as dust mites. Put on a mask to prevent inhaling dust and if you use a vacuum, make sure it comes with a HEPA filter. This type of filter is generally useful to help minimise dust and other common allergens, given its ability to trap even the tiniest particles out of the air. If you have a habit of leaving your hair damp after a shower or bath and going straight to bed, it’s time to give it a second thought. This is because sleeping with damp hair will encourage mould growth in your pillow. So, the next time after you wash your hair, at least let it air-dry or use a hairdryer to speed things up. Heavy curtains or large fabric curtains are prone to dust accumulation. Even if you insist on using them for your bedroom windows, at least make an effort to wash them on a regular basis using 54.4°C or 130°F of hot water, which is an ideal temperature to eliminate dust mites. Better yet, consider switching to washable cotton curtains, blinds or shutters.